Moxie Kitchen + Cocktails returns to my blog and it’s only been a few months! Recently rolling out their weekend brunch the timing couldn’t be more perfect with spring in the air, and out door eating at it’s finest. Who wouldn’t want to ease on into a seat on the patio and enjoy the comforting refreshment of an all American brunch, so when I was developing the “Best in Brunch” series, I knew it was time to revisit my friends at Moxie. As Chef Tom Gray explains it, “Brunch is a time to slow down and relax, a chance to experience time with friends and family in a much more casual atmosphere versus a Monday through Friday business lunch.” For this reason it was important to the leadership of this locally owned favorite to create an atmosphere where you can unwind and toss your weekday worries to the wind. With two open air patios stylishly appointed in their signature Moxie fashion, al fresco dining has never been better. Worried about the FL heat, my concerns were eliminated when I discovered the strategically placed ceiling fans keeping guests at the peak of comfort. On the second level patio, I was also pleased with the variety of seating areas from lounging couches to comfy booths, making it that much easier to relax and take your time. 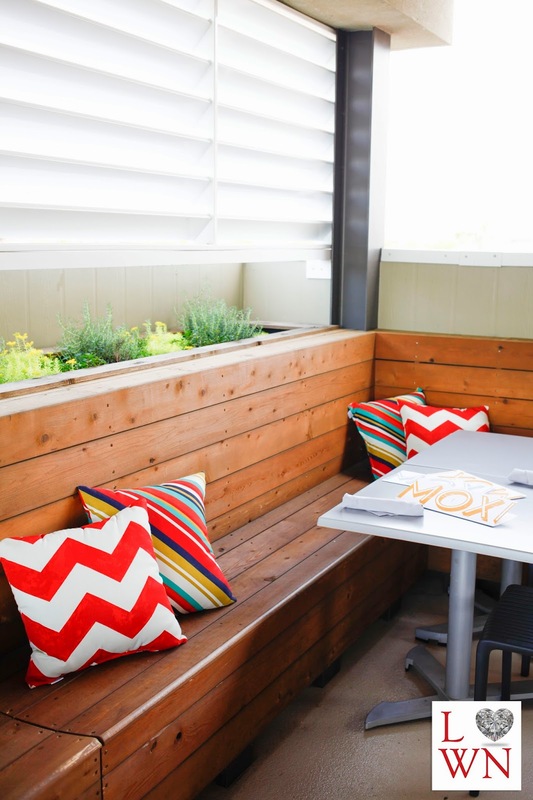 Moxie has two out door dining areas in addition to it’s stunning indoor options. I’m originally from Kentucky and one thing country folk do best is good old fashioned made from scratch cooking. So you could say I’m a connoisseur of home grown, and home made dishes. Once you experience it, it’s hard to accept the pretender. As I’ve mentioned before in my Date Night Destinations series, Moxie’s full circle approach sets the standard in the highest quality ingredients made, you guessed it, completely from scratch. I personally witnessed this on my tour through the kitchen and prep area where there was nothing pre-packaged sitting anywhere. Moxie’s kitchen crew takes the time to meticulously prepare every detail of your dish from mincing and chopping, to marinating, and curing. Chef Tom even worked hand in hand with a master coffee roaster to create their signature Moxie cup o joe. The Brunch menu has a well rounded selection of egg dishes, salads, savory selections, and of course the perfect hand crafted cocktails that are sure to be on everyone’s brunch wish list. I was impressed by the selection that covered a little something for every palate, yet meshed together perfectly, ultimately staying true to their “Coast to Coast” inspiration. Trendsetters… mountain movers… you could argue are one and the same. In this case owners Chef Tom Gray and Sarah Marie Johnston have certainly moved their fair share of mountains to build a restaurant that makes a powerful statement on the first coast. Their team continues to elevate the culinary atmosphere of the city as they adapt to change and consistently reinvent the definition of “best”. Brunch has made a triumphant return to the foodie scene as an in demand staple, and Moxie Kitchen + Cocktails rises to the occasion with an idyllic setting that’s both hip and coastal cool. It’s this influence along with the hard work of so many talented artisans that has Jacksonville rising in notoriety as a culinary destination that must be explored. Get your appetites ready friends, there is so much to taste and see in this ever evolving, and always tantalizing culinary art we so casually call dining. See more great images from my brunch experience at Moxie Kitchen + Cocktails here. Fantastic Giveaway Event Coming Soon! Keep checking back! Watch Amy talk “Best in Brunch” on News 4 Jax. 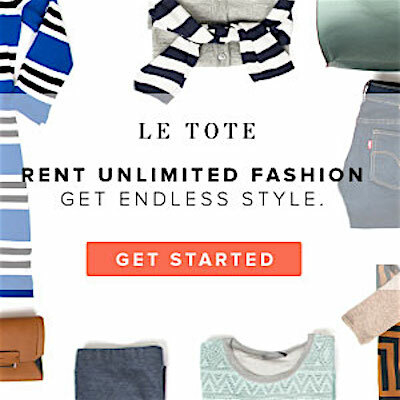 Copyright © 20142014 Amy West Travel. All rights reserved. Photography by Journey Productions Media.